Meet the Lumenplay: an app-enabled wreath that lets you control colors, effects, and visualize music with the help of your smartphone. 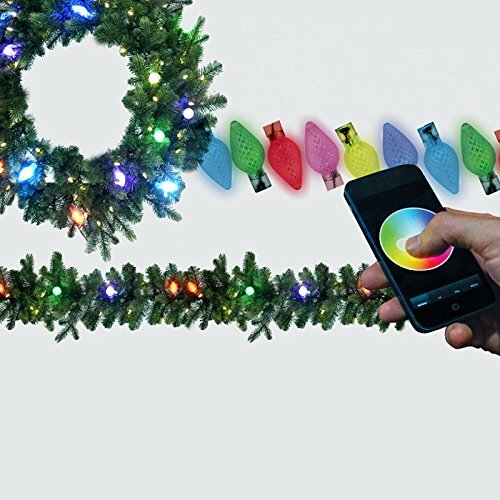 These lights change colors and effects to bring a fun light show to your phone. The device relies on Bluetooth SMART technology to connect to your smartphone. The Lumenplay app lets you choose from over 16 million colors. It can also create a light show from your music. Lumenplay lights are easy to set up. Just plug your lights in, download the companion app, and you are set. The starter set includes a string of 12 RGB LEDs and can be used indoor or out. You can get these for as low as $79.99.